Review of Edgar Wright's "Baby Driver"
"Baby Driver" is out and the film has captured the hearts and minds of many across the globe. The film debuted at a coveted 100% on Rotten Tomatoes and dropped only 3 points after reaching a wider release. Clearly, critics and audiences alike love this film. 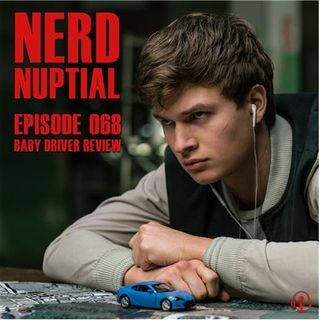 Your Nerd Nuptial is in a high-speed chase to get down to the bottom of worked in Baby Driver as well as what didn't. The episode begins with a preview of what the next ... See More two weeks of the show will look like. What did you guys think of Baby Driver?